I received a Associates Degree in Electronic Media Production from Ozarks Technical Community College. I then transferred to Drury University in Spring of 2012. I will earn a Bachelor of Arts Degree in Multi Media Production and Journalism in December of 2014. My name is Christopher Lynn. I am currently pursuing a B.A. 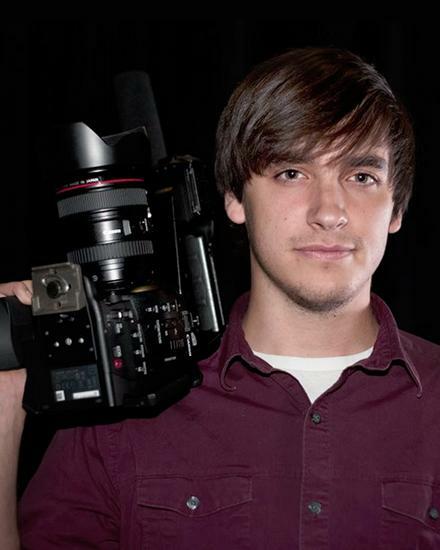 in Multi Media Production and Journalism from Drury University. I love producing video that allows me to be creative with my shots and get outdoors every now and then. I have produced video for clients within the Springfield, MO area such as the Watershed Committee of the Ozarks, City Utilities of Springfield, Drury University, and Boyd Elementary School. My goal is to land a video production job that lets me be creative and makes me want to come into work every day. A job that I can truly say that I love. That is my goal. Have a look at my resume here! I produced a promotional video for the 60 Days Alive zombie survival app available on the App Store and Google Play. I produced the 30th anniversary video for the Watershed Committee of the Ozarks. The video was made through a special summer research class where my primary focus for the class was to produce this single video. I produced videos for City Utilities of Springfield to be placed on City Utilities's website and youtube channel. The videos included a video for the Fullbright Water Treatment Facility and the City Utilities Call Center. These videos were produced though an internship opportunity within a capstone class while I was attending Ozarks Technical Community College. These videos have won various awards and honors. The capstone project for graduation from Drury University. For the project I worked with the Victory Mission in Springfield, Missouri. The goal was to increase donations to the Victory Mission through three videos I produced.